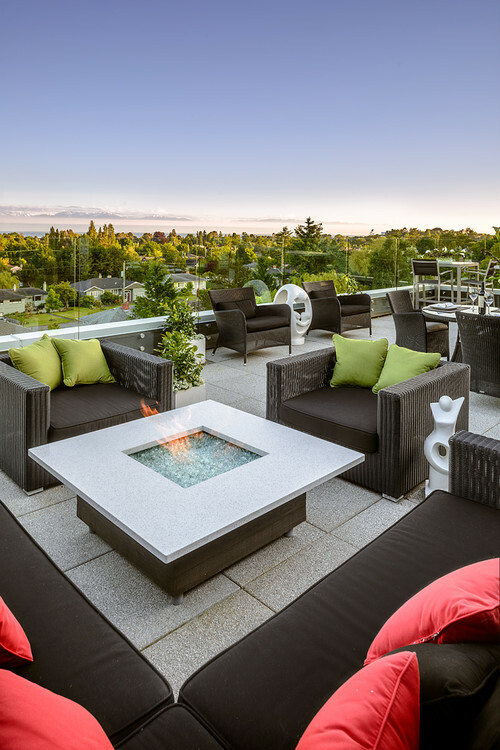 Sweet Escapes – Rooftop Patios - Reither Construction, Inc.
With summertime right around the corner, nothing screams “best time of the year” like kicking back and relaxing. Don’t have time to get away? Sometimes an escape can be as easy as walking upstairs. 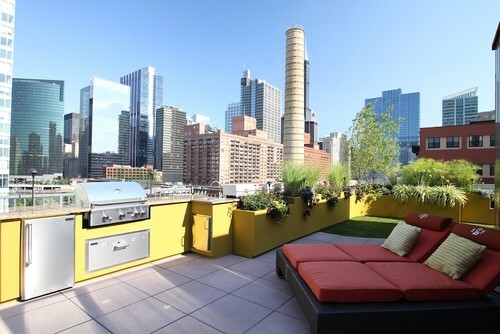 Rooftop patios don’t have to be for the rich and famous. Create your own little getaway with one-of-a-kind views by making the most of these 3 components. These little oases are famous for being social spaces. Seating, therefore, is a must. Whether you have multiple sectionals, lounge chairs, or oversized pillows, make sure there are enough spots for everyone to sit. This is a place to gather with friends so make sure you arrange your chairs and stools in a way that create a more intimate environment. Heat may rise, but so does that summer breeze. 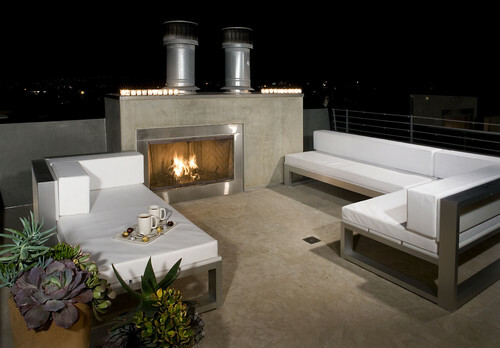 Since you are enjoying the view from the top, make sure you stay nice and warm at night with a fire pit. Fire pit design is something you can play around with. There are so many different shapes, sizes, textures and colors to explore. Let your creativity go wild! Would you like it as the center of your social scene? Or would you rather have it tucked away for a more romantic look? With so many options, you’ll be able to find something you truly love. Everybody’s got to eat, right? And no one wants to hike up and down the stairs for food so adding a grill can be an essential part of making your patio complete. Fire up that grill and get cooking! 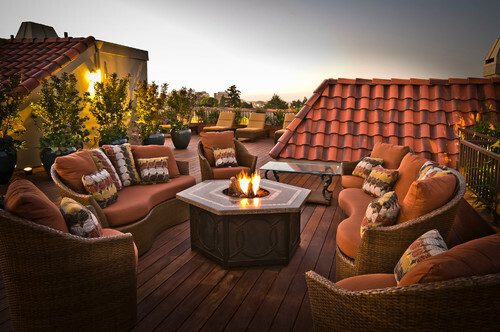 What are your must haves for your dream rooftop patio?